In this guide, I will explain the 4 elements that the plaintiff (a person who brings a legal action) must show to be successful in a slip and fall lawsuit. These are the same elements I use when deciding if a potential lawsuit can be successful on behalf of a client. A slip and fall injury claim is a common personal injury action brought against business owners and homeowners by injured parties or plaintiffs who claim that they slipped or were caused to fall by a dangerous or hazardous condition on the premises. What is A Notice Of Dangerous Condition? If the owner, lessee, or person occupying the land had notice of the dangerous condition and its potential for causing harm, then that person has a legal obligation to take reasonable steps to protect persons from that harm. It is the person who possesses or occupies the premises and has the intent to control it who is responsible for keeping it safe1. Can A Guest or Someone Visting Sue For A Slip And Fall Injury? If a guest of the tenant or owner was responsible for causing the injury, then the plaintiff can include the guest as a defendant as well as the owner or tenant so long as the injury occurred on the subject premises. A defendant does not have to be the owner or tenant so long as the responsible party was in control of the property2. What Obligations Does An Owner or Tenant Have With Regard To The Property? An owner, tenant, or one who occupies or controls property generally owes a duty of care to those persons who come onto the property to exercise ordinary care in managing the property so as to avoid exposing those persons to an unreasonable risk of harm3. Without evidence that a duty of care existed on the part of the landowner, tenant, occupier or controller of the premises where the accident occurred, no negligence on the part of the defendant may be found and the lawsuit will fail. 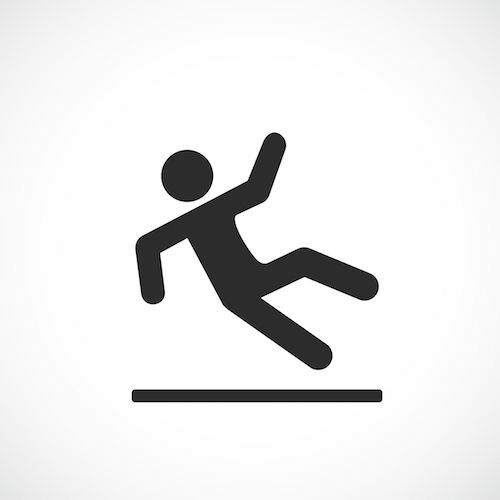 How Does The Court Determine If A Duty Of Care Exists In A Slip And Fall Case? A court will look to see if the particular category of negligent conduct was sufficiently likely to result in the type of harm experienced so that liability may be imposed4. In other words, was the person who was harmed a foreseeable victim of the actions of the property owner? The degree of certainty and the closeness of the connection between conduct and the injury will determine if the harm was foreseeable. A shopper who slips and breaks her pelvis from liquid spilled on a grocery store aisle has an injury that is closely connected to the defendant’s conduct since a fall can produce such an injury. The defendant’s conduct was in failing to remedy the hazard or warn of it provided the defendant had notice of the hazard. 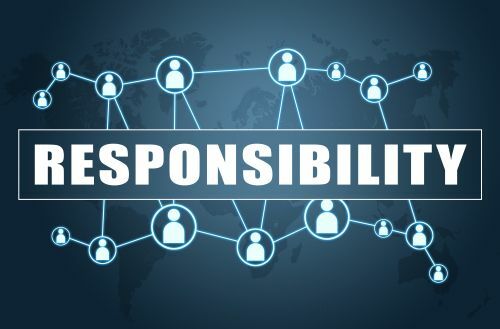 Where the defendant landowner intended or planned the resulting harm, acted recklessly or with willful indifference to the safety of persons on the premises, there is moral blame or consequences for such conduct. This also extends to the property owner who knew of the hazard or in the exercise of reasonable care should have been aware of it and failed to act to remove the risk or to warn of it5. Further, if it is reasonably certain that future injuries would result if the defendant is held to a duty of care, then such a duty may be imposed. If the measures that the defendant would have had to take to remedy or repair the risk is too costly or imposes too great a social burden on the defendant and to the community at large, then no duty of care might exist. In these types of cases, there is often a question as to whether the foreseeability of harm and the certainty of injury was limited6. If few companies provide insurance for the type of risk and it is costly, then a court is less likely to find a duty of care. Once the duty of care is established, then the plaintiff (person bringing a legal action) moves on to prove the other 3 elements of a slip and fall cause of action. A condition that causes an unreasonable risk of harm may be a natural hazard or an artificial one created by the owner or agent or anyone else that can cause a person to slip, fall and sustain a serious injury. Liability in slip and fall cases is predicated on whether the defendant knew of the hazard or should have known or discovered it in the exercise of reasonable care. A landowner may not be an insurer of the safety of everyone who comes onto the premises; otherwise strict liability would apply. Rather, the owner must have had actual or constructive notice, at least when it applies to store or business owners7. Actual notice is where the owner or his agent becomes aware of the hazard by either directly observing it or having someone advise him of it. Constructive notice is implied when a condition has existed long enough or for an unreasonable period of time so that the owner in the exercise of reasonable care should have discovered it. Reasonable care on the part of store owners includes a duty to regularly inspect the premises. Evidence that no inspection had been made for a certain period of time before the accident may warrant an inference that the defect existed long enough so that a person exercising reasonable care would have discovered it.8. This imposes a duty on a storeowner to regularly inspect the premises9. It is a question for the trier-of-fact to determine if the defect existed long enough so that it would have been discovered and ameliorated by the owner in the exercise of reasonable care. Even in cases where the hazard has existed for months or even years without an evidence of prior complaints or injuries, this does not relieve the landowner of liability. If an unreasonable risk of harm exists, then the landowner owes a duty of care to protect against an injury, regardless if it had not occurred previously or how long it had been in existence10. If the landowner had notice that a dangerous condition existed, then he/she has an obligation to remedy it by repairing it, protecting persons from the harm, or by sufficiently warning of the hazard. A failure to do so can constitute negligence. Of course, you must prove that the plaintiff slipped and fell on the owner’s or lessee’s property. Generally, there are witnesses to the incident or photographs taken of the victim on the defendant’s premises. A substantial factor in causing a slip and fall accident is one that a reasonable person would consider to have contributed to the accident. It must be more than a trivial or remote factor and need not be the only cause11. In some accidents, there are multiple causes or factors or forces acting independently but at the same time. In a slip and fall case, it may be the failure of the defendant to inspect the property for the hazard that caused the accident as well as the failure of the plaintiff to have exercised reasonable care for his or her own safety. A hazard that is open and obvious for which a reasonable person would have noticed under similar circumstances can impose comparative fault on the plaintiff..
A common defense in slip and fall cases is that the plaintiff failed to exercise reasonable care in looking out for his or her own safety. 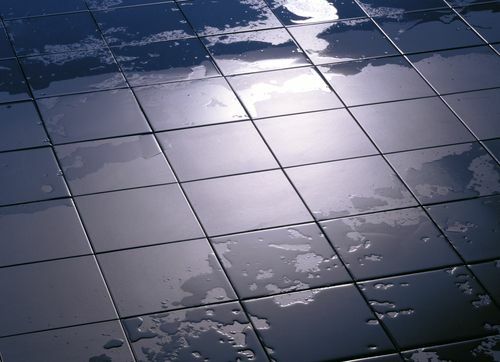 If an object on the floor or an opening was obvious and not hidden but the plaintiff slipped on the item or stepped into the hole, then it is an issue for a jury to decide if the plaintiff should have seen it. Comparative fault on the part of the plaintiff is applicable if his/her own negligence was a substantial factor in causing the injury12. In other words, even if the defendant caused the hazard, was aware of it or it existed long enough so that the defendant should have been aware of it in the exercise of reasonable care, the plaintiff may still be liable if he/she failed to exercise reasonable care in avoiding it. It is for a jury to decide if the injured party who was looking at shelf goods or texting while shopping and was unaware of the spilled liquid on the floor that she slipped on was negligent. California is a pure comparative negligence state, so that a plaintiff can still recover for his/her injuries so long as any degree of fault is found on the part of the defendant13. For example, a determination that a plaintiff was 60% at fault and the defendant 40% responsible would reduce an award of $100,000 in damages to $40,000. If a child under the age of 5 slips and falls and the defendant had reasonable notice of the risk, the child is not held negligent at all since he/she is incapable of being contributory negligent as a matter of law14. For older children, they are only expected or required to exercise the degree of of care expected from children of like age, experience, and intelligence. It is the care that children of the same maturity, intelligence and maturity would exercise under the same or similar circumstances15. All damages must be proved by the standard of a preponderance of the evidence. For medical expenses, billing statements from medical providers and the testimony of a physician or other expert that the costs are reasonable and were for care that was medically necessary is required16. Lost earnings are shown by introducing evidence of what the plaintiff was earning at the time of the injury along with medical evidence or testimony that the plaintiff was unable to work for a period of time because of his/her injuries. If the injured party was still in school but her education was delayed for a year or more, a forensic economist can testify as her wage loss occasioned by her delay in entering the labor force. Similarly, medical testimony is needed by a medical expert who has the credentials and qualifications to state that you suffered a permanent disability, to what degree, and what physical or mental limitations, if applicable, you have and will continue to experience in the future. If future surgery or other procedures are contemplated, the medical expert will have to state that the procedure is probable or likely to occur to a reasonable medical certainty17. Non-economic or general damages are subjective in nature and are determined by a jury or judge as trier-of-fact based on testimony from the plaintiff, friends and family, and medical providers as to how the injury has impacted his/her life. For example, because of severe back injuries from the slip and fall, you are in pain most of the day and have been taking pain medications daily for the past year or so. You are no longer able to engage in your favorite activities such as golf, tennis, or softball. Walking certain distances is difficult or impossible and you need assistance with shopping, cleaning, cooking, or any other daily routine. Sleeping for more than a few hours at a time because of the pain is a nightly experience. Regarding a claim for loss of consortium, you and your spouse will have to testify about your sexual activities. It is also a claim for the loss of moral support and companionship and how the marital relationship has changed because of your injuries18. This includes the loss of a husband’s assistance in helping with household tasks and maintaining the home. 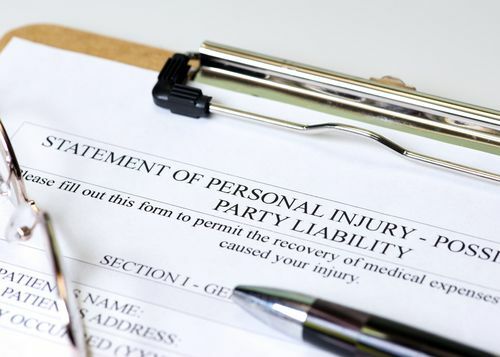 If you would like to discuss a pending case with a personal injury lawyer then please contact the Aizman Law Firm at 818-351-9555 for a free confidential consultation.